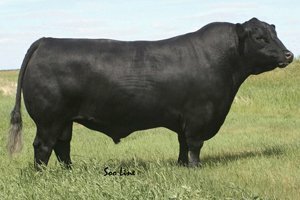 Kodiak is the Canadian super-sire that started the revolution! He sired every single one of the bulls in the 2010 National Western Stock Show Grand Champion Bull Pen of 3 Show, which was the first time a Canadian outfit earned that prestigious honor. His daughters are working great.